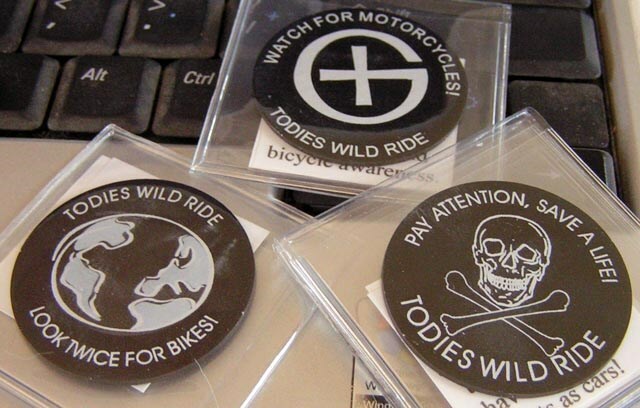 (TB30DN8) GeoCoins.net Trackable Token Geocoin - Todie's Wild Ride II: Bikes are everywhere! Todie's Wild Ride II: Bikes are everywhere! Use TB30DN8 to reference this item. Gallery Images related to Todie's Wild Ride II: Bikes are everywhere! Picked up this Geocoin in a TB exchange at the TB & Coin Motel along I-75 South bound. I will move it along on its journey. A nice tribute to Tod. A good way to make others aware as well. Will move this nice TB along quickly. Nice idea for a coin series. I will move it along soon.